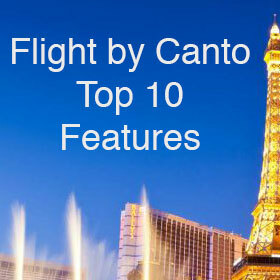 Please note: as of May 22, Flight is now Canto. All references to Flight in this article refer to Canto. • Flight LAS (Las Vegas). 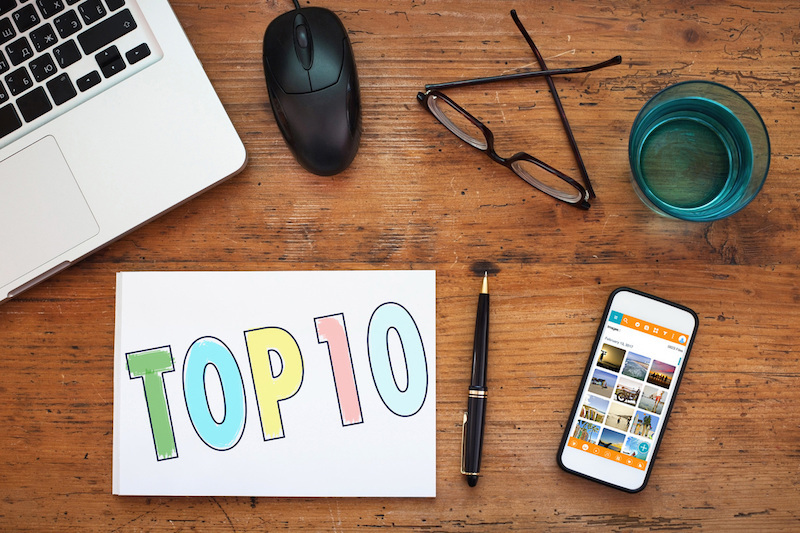 In this blog we focus on what we consider are the top 10 features. 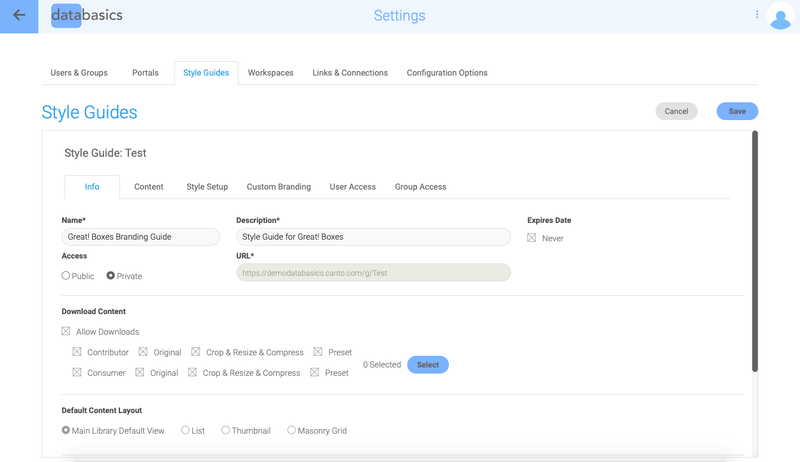 These new features and enhancements are automatically available to all Flight customers as soon as they are released so users don’t have to wait for IT to download and install them – they are ready to be used immediately. 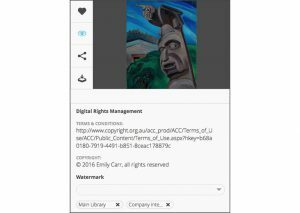 New DRM features were released with Flight AUS and covered improved copyright controls, linked terms and conditions and watermarking – the latter later enhanced with Flight ORD. You can add a link from your assets to your organisations’s Terms and Conditions so that Passengers can then view and accept them. 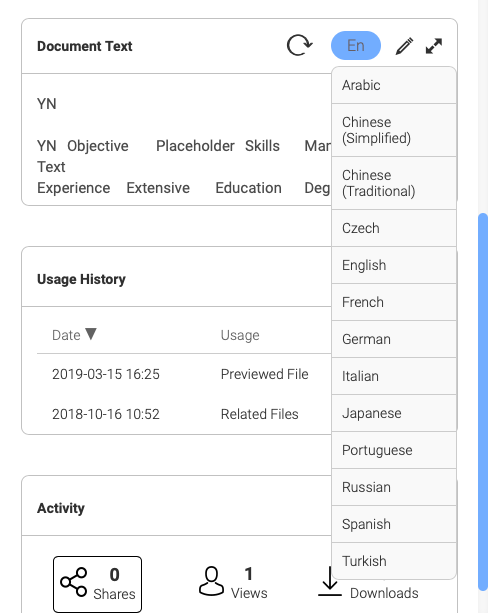 If assets already have copyright information embedded in them, you can view the existing copyright information, or you can add or edit the text in the Copyright text box. The ability to Watermark assets was made available with Flight AUS but was further enhanced with Flight ORD. Watermarks can now be positioned in 9 different areas of an image. 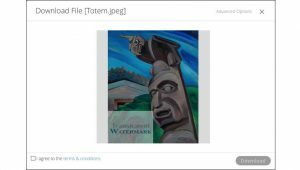 You can choose which area of the image you would like the watermark positioned, as well as scale it down to any desired size. 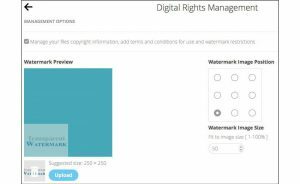 A preview of the watermark is available in the Digital Rights Management setting. 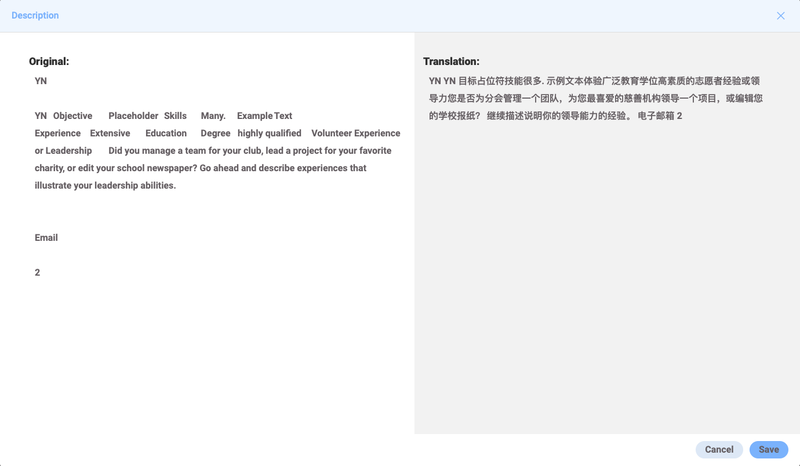 Note the checkbox for agreement with the Terms and Conditions. 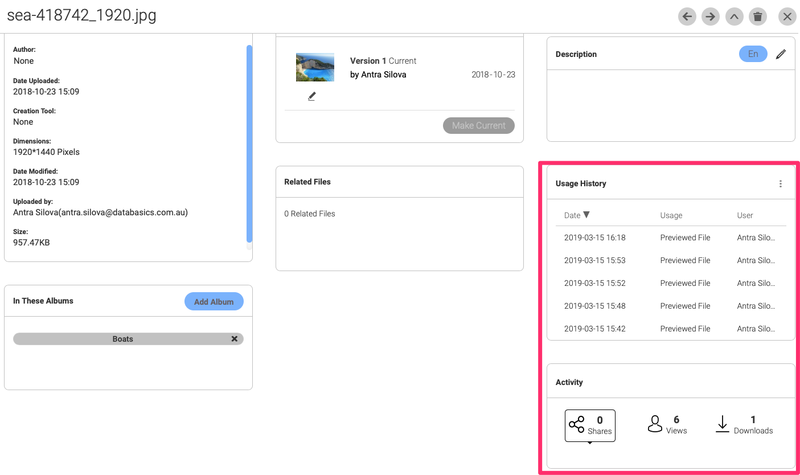 Also released as part of Flight AUS, the Crop before Download feature means that before downloading the desired image, you can select in Advanced Options the crop area, size and file type to be downloaded – or you can simply download the original file as uploaded. With Flight LAS, this was enhanced with Exact Crop and Resize, introduced to enable users to choose with exact precision down to the pixel. 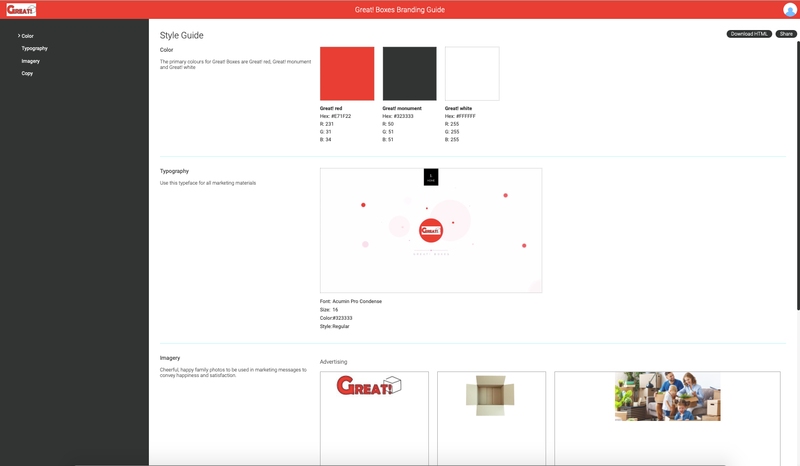 This is ideal for resizing images that need specific dimensions, like for posting on social media sites. 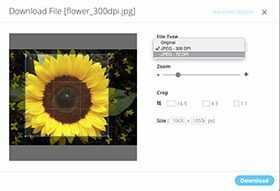 Flight AUS saw new editing and conversion features that enable users to modify assets eg crop or zoom, and also to select a video format for conversion prior to download. 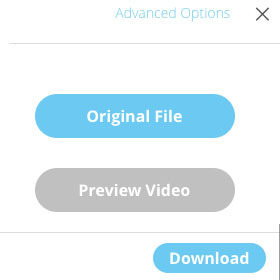 Select the desired file type for your movie download in Advanced Options. My Collections was a feature released with Flight MIA and is an enhancement to the Favourites capability. 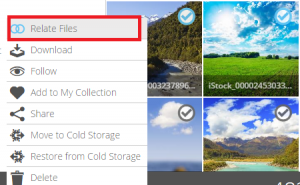 You can create your own personal albums with a collection of your favourite files. 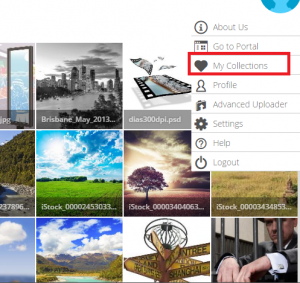 By clicking the Heart icon, the selected file is added to your My Collection folder. 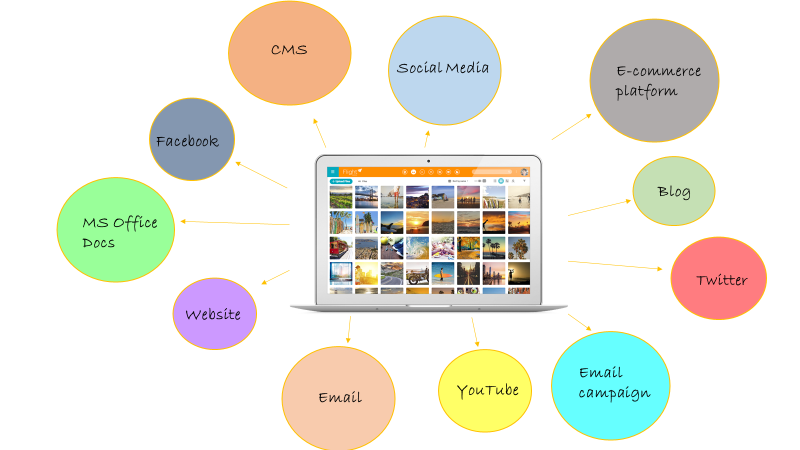 Another feature with Flight MIA makes managing your brand even easier. 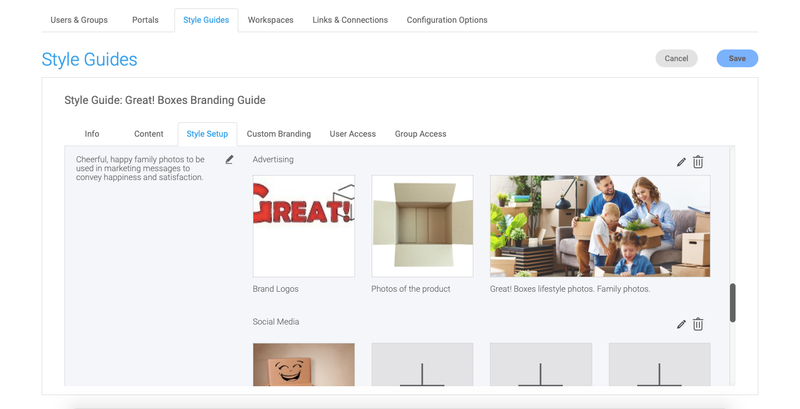 Preview your Flight page updates in real time by clicking the new Branding icon in Settings. 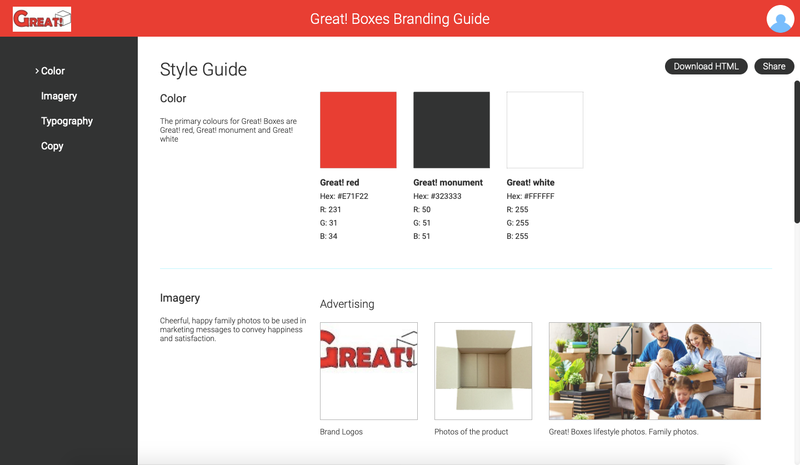 Test different branding options, without having to reload the page or log out of your account. Flight ORD saw an important addition for administering your Flight accounts: self-registration. Easily add passengers to your Flight account without admin having to register new users individually. 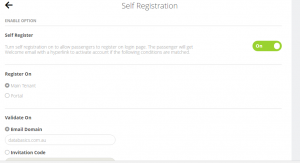 Passengers can either receive an invitation code or register themselves with a specified email domain. 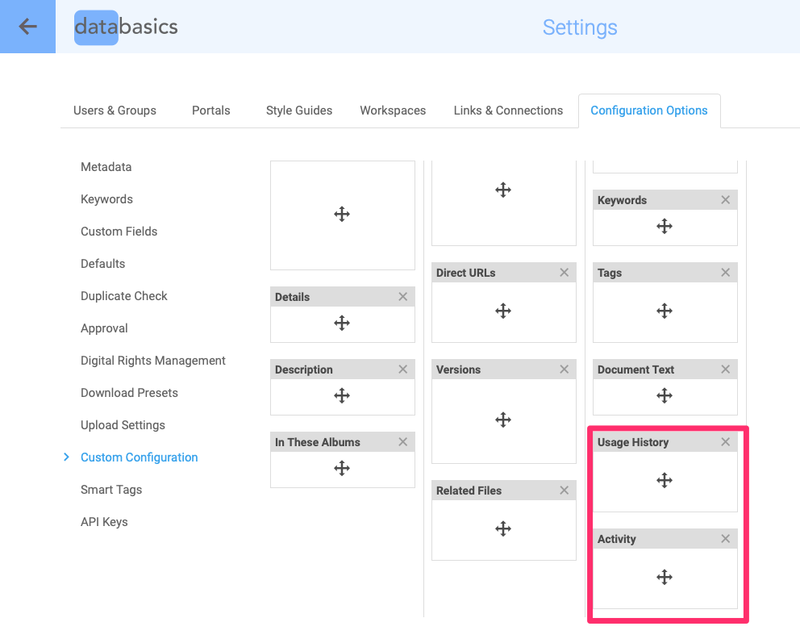 New with Flight ORD is the ability to group together files that belong to the same theme, campaign, and project. Just select files and click on “Relate files” from the bulk edit menu. Under the file’s information view you will see other files it is related to. This is typically used to show Talent Release or Consent forms. 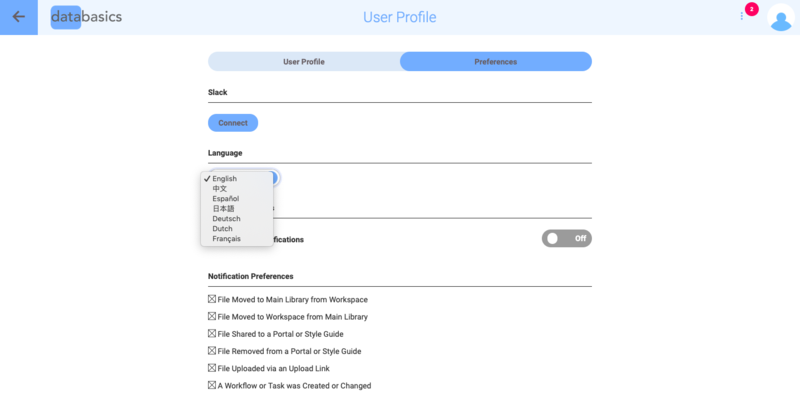 With Flight ORD came better administrative control for content contributors. 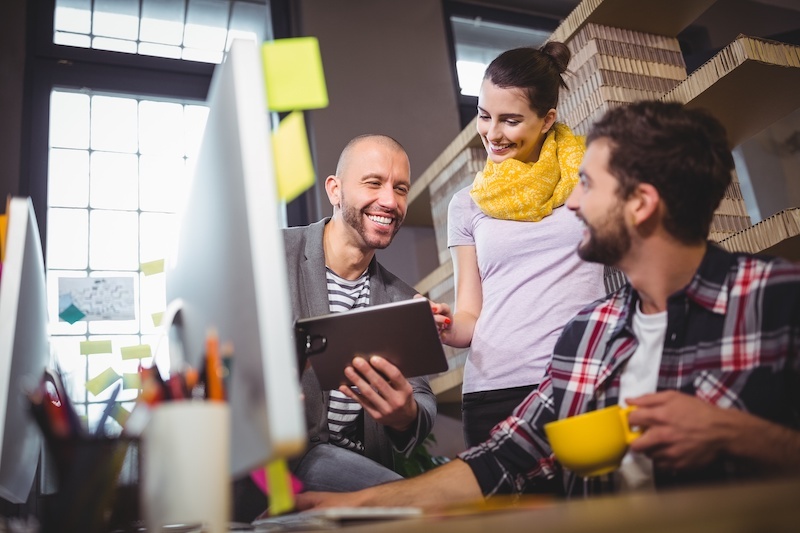 Externals like photographers, agencies and other contributors can use a shared link to upload files even if they are not registered with the main library. 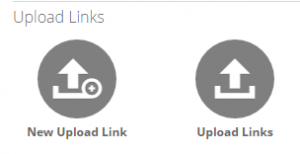 Administrators can create and manage the Upload links. New auto-sync publishing portals were an important feature introduced with Flight ORD. Creating and managing them is the same as Flight’s original portals, only now they’re easier to use than ever before. 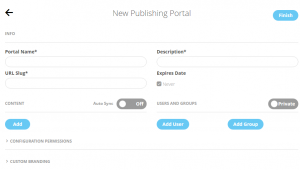 The new publishing portals will automatically sync updates to content that occur in the main library. Shortly after the Flight ORD release, Canto announced the availability of Flight integration with MailChimp – everyone’s favourite email marketing service – enabling you to build MailChimp email campaigns with Flight. 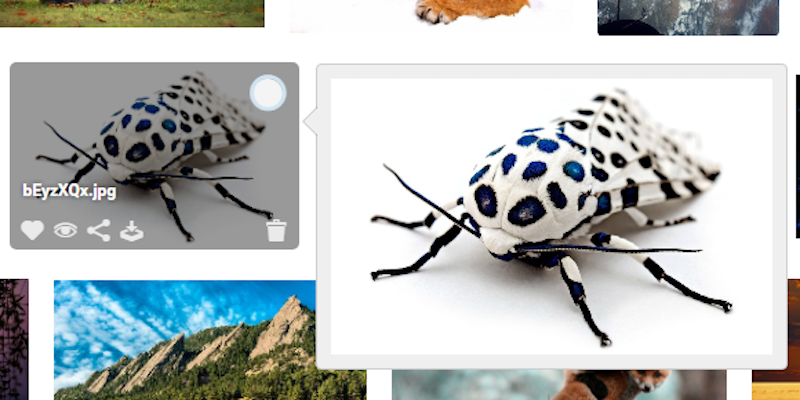 Locate specific images quickly with Flight and import them directly. The Flight LAS release now sees the integration of Flight with Slack, the popular messaging app. The Slack integration notifies you whenever files, albums or portals are added, shared, updated, changed, commented on, etc. – you choose the notifications you would like to receive. You can also share directly from Flight to the channels you select. The Flight team is really committed to making Flight simple and easy to use. The general UX is improved with each new release. 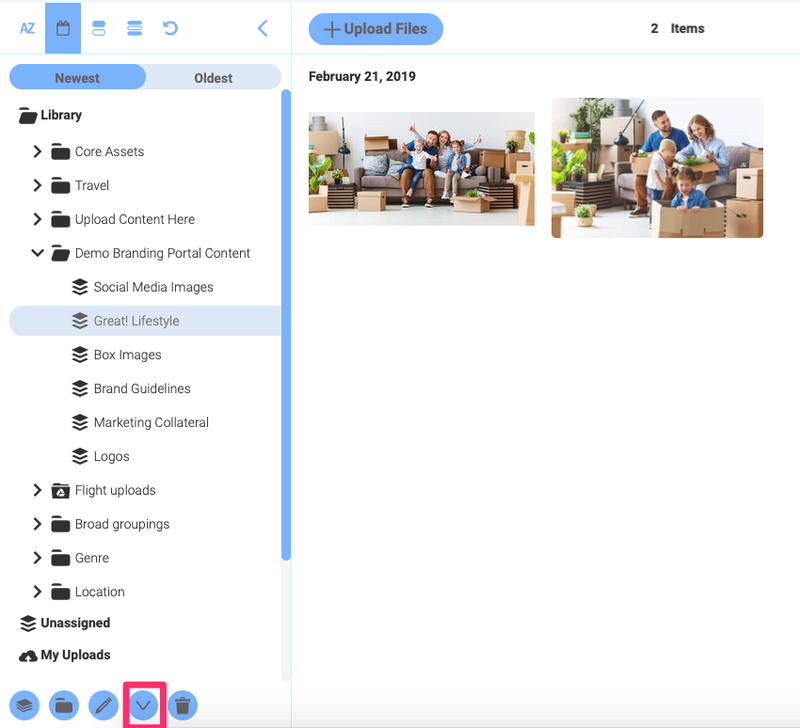 For example, there is a new Settings interface; a Recently Added button at the bottom of smart album screens to see the latest uploads; click the eye icon to follow a particular file or album; keyboard shortcuts; and Easy Rename for folders and albums.